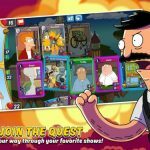 Animation Throwdown is currently one of the more popular new games on iOS and Android, a trading card game that features characters from five popular animated series – Family Guy, American Dad, Futurama, King of the Hill, and Bob’s Burgers. And as we’ve explained in our previous Animation Throwdown guides, you can play cards with a variety of special abilities, and string together impressive combos by playing certain cards. You can also collect cards of varying rarities, and as you may expect, it is especially hard to acquire Epic and Legendary cards. Given their rarity levels, that shouldn’t come as a surprise to anyone, but at the end of the day, you’ll need them in order to beat some of the more difficult chapters in the game. 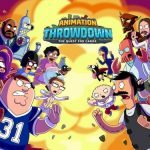 Keeping in mind how rare those cards are and how important they can be in the later stages, we’ve decided to give you yet another Animation Throwdown strategy guide. Not only will we be talking about ways for you to increase your odds of getting Epic and Legendary cards, we’ll also be talking about getting better loot, which is also important in this game. The bottom line when it comes to improving the quality of the loot you score is that you have to be social, and you have to be patient enough to watch ad videos. For the first, you would have to be in an alliance with 45 members or more, as that’s going to increase the amount of gold you can earn from Arena battles and Adventure matches by a whopping 50 percent. For the second, you have to make it a point to watch three ads whenever the option comes up, as that will improve the odds of winning more coins and getting better-quality drops. 2. 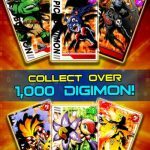 How Can You Get Rare Cards In The Game? Once again, it all boils down to taking advantage of the game’s social features and watching ad videos. Aside from increasing the value and amount of regular loot you can earn, you can also improve your chances of earning rare cards, may they be via direct or indirect sources. So how does it all work? 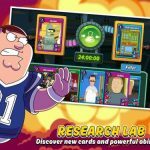 We can say that watching ads gives you a better chance of rare card drops from Adventure battles, and if you’re able to beat certain bosses, you just might be able to earn some Epic or Legendary cards. In connection to the last sentence from the above tip, it would be advisable to keep replaying Adventure battles, and replay them as many times as you could, boss battles included. It’s all about grinding it out here, and if you beat a boss so many times, you just might unlock a far greater number of cards than you expected, with some Epic and Legendary cards included in the mix. Yes, it’s true that grinding can be a very tedious process, and it may feel repetitive to play the same battle over and over again, but your patience will eventually be rewarded. There are some quests, with special emphasis on some, that may come with Epic or Legendary cards as your reward for completing them. In fact, this might be a good way for you to get your first Epic or Legendary card, so keep an eye out for the latest daily quests, and if you see one that gives you an Epic or Legendary as a reward, go complete it while it’s still available. Of course, as you earn more coins, you can use those coins to buy more card packs, and you just might get lucky when you open those packs. Don’t expect to get an Epic or Legendary card in your first pack, your second pack, or even in your fifth pack. It may take several regular packs before you get your first Epic or Legendary, and you’ll have far more than your share of commons, but as long as you can afford card packs, go ahead and buy them. You can also spend some of your real-life money to buy premium card packs, or if there’s a special offer or discount. The latter would be more recommendable, as you can get more bang for the buck (read: more cards), but if you’ve got money to spend, either option should work for you, and increase your odds of getting Epic or Legendary cards.